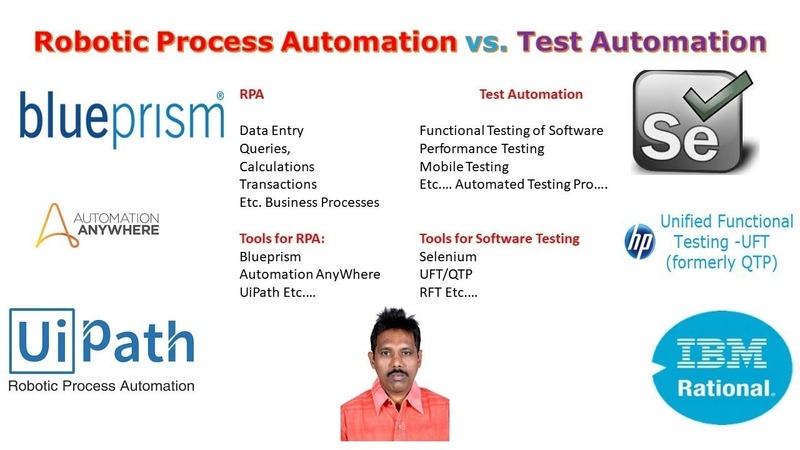 No programming knowledge is required for RPA, RPA is wizard driven…. Robotic Process Automation is well suited for processes that are clearly defined, repeatable and rules based. RPA is software-based, it can be used to perform various tasks. These include maintenance of records, queries, calculations, and transactions. Additionally, any application commonly used by your company can be operated by RPA. For example, Citrix, .NET, HTML, and Java are all technologies commonly supported by RPA. Compatible Systems include Mainframe Terminals, SAP, Oracle, Blackline, and many more. 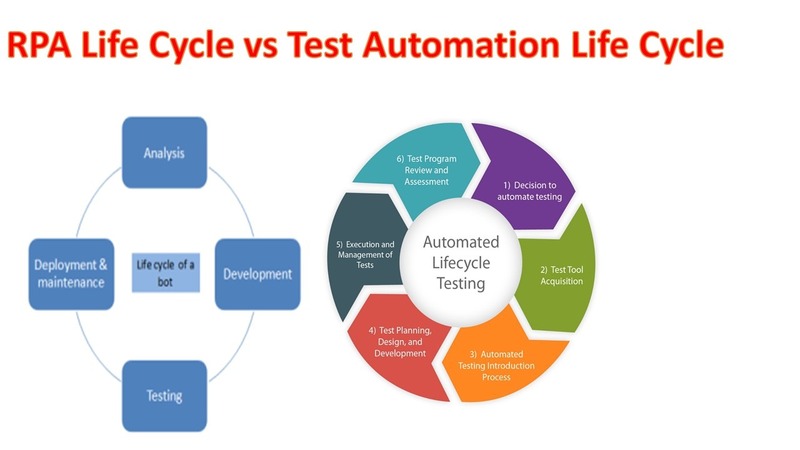 Test Automation or Automated Testing is applied only to the Product/Software Product and its features. It Checks weather the product is working or not as per its Requirements.